Music City is gearing up for the second installment in our Symposium Series! 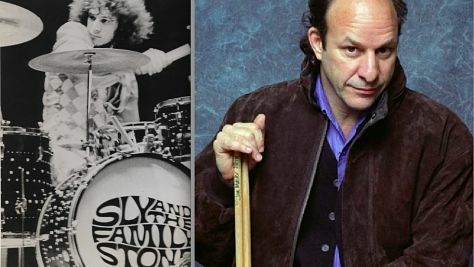 For February’s Symposium, we are thrilled to announce Greg Errico (Sly and the Family Stone) will be joining us for an intimate discussion and performance! As a founding member of Sly and the Family Stone, Greg Errico’s unique drumming style can be heard on chart-topping hits such as “Dance to the Music” and “Everyday People”, but his career in music didn’t stop there. Following his departure from Sly and the Family Stone, Errico went on to collaborate with David Bowie, Carlos Santana, Grateful Dead, and countless other celebrity musicians. Join us live in studio 18 on February 25th for an interview with Errico, audience Q&A, and live performance from Greg Errico & The Unauthorized Rolling Stones!